Distillation: Equipment and Processes—winner of the 2015 PROSE Award in Chemistry & Physics from the Association of American Publishers—is a single source of authoritative information on all aspects of the theory and practice of modern distillation, suitable for advanced students and professionals working in a laboratory, industrial plants, or a managerial capacity. It addresses the most important and current research on industrial distillation, including all steps in process design (feasibility study, modeling, and experimental validation), together with operation and control aspects. 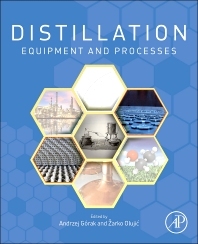 This volume features an extra focus on distillation equipment and processes. practitioners of distillation and separation science, looking for a quick access to the newest knowledge, graduate students searching for special applications, chemist, environmental engineers, mechanical engineers. 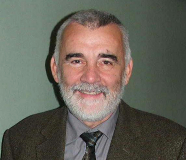 Professor Andrzej Górak is Chair of Fluid Separations at the Technical University of Dortmund, Germany and Professor at the Technical University of Łódz, Poland. He received his PhD from the Institute of Chemical Engineering at the Technical University of Łódz where he continued his work as a senior researcher. He then assumed the same position at Henkel KGaA in Düsseldorf. In 1992, Prof. Górak completed his postdoctoral “Habilitation” at RWTH Aachen and was appointed Professor at the Department of Chemical Engineering at the Technical University of Dortmund. Between 1996 and 2000, he was Chair of Fluid Separations at Essen University, before returning to and taking over the Chair at the TU Dortmund. Dr. Sc. Žarko Olujić is an independent scientific consultant and an unpaid associate professor at the Process & Energy Laboratory of the Delft University of Technology. He has over 40 years of academic research and teaching experience in former Yugoslavia, Germany and the Netherlands. He received all his academic degrees from the University of Zagreb, Croatia (Dipl. Ing. in Chemical and Petroleum Engineering, 1969; MSc. in Chemical Engineering, 1975; and Dr. Sc. in Process Engineering, 1976). He is a Fellow of the American Institute of Chemical Engineers (AIChE).